When you consider last year’s Tour de France winner also won Tirreno-Adriatico, the Italian stage race, March 7 to 13, takes on a new meaning. It was the first time a rider, Cadel Evans in this case, went on to win the big race in July. Evans is back this year and so are the time trial stages. Organiser RCS Sport leaned heavily on them, starting and ending the race with timed stages: the first a 16.9-kilometre team event and the last, 9.3 kilometres, an individual one. Mark Cavendish won his one and only Tirreno-Adriatico stage in 2009 before going on to win Milan-San Remo four days later. However, since 2010 when Edvald Boasson Hagen won, the organisers have removed the final sprint stage in San Benedetto in favour of a time trial. Cavendish and his rivals will have two stages to sprint for the win, stages two and three. As the race snakes towards the Adriatic Sea, they will be improving their fitness for San Remo on March 17. The summit finish to Prati di Tivo and the two mid-mountain stages – Chieti and Offida – will offer plenty of training for San Remo’s Cipressa and Poggio climbs. Stages four, five and six cross the Apennine mountain range and could render the time trials worthless for the overall win. The 252-kilometre fourth leg to Chieti rolls up and down, up to 1310 metres for Passo Lanciano. It could be of more use to rider preparing for Liège-Bastogne-Liège than for San Remo. Stage five is the season’s first serious mountaintop finish, covering 196 kilometres and three categorised climbs. The last, up to Prati di Tivo at 1450 metres, is higher than the highest point in Paris-Nice, the Col des Lèques at 1149 metres. The sixth leg, a mid-mountain circuit around Offida, will do more to sort the final classification than the final time trial. 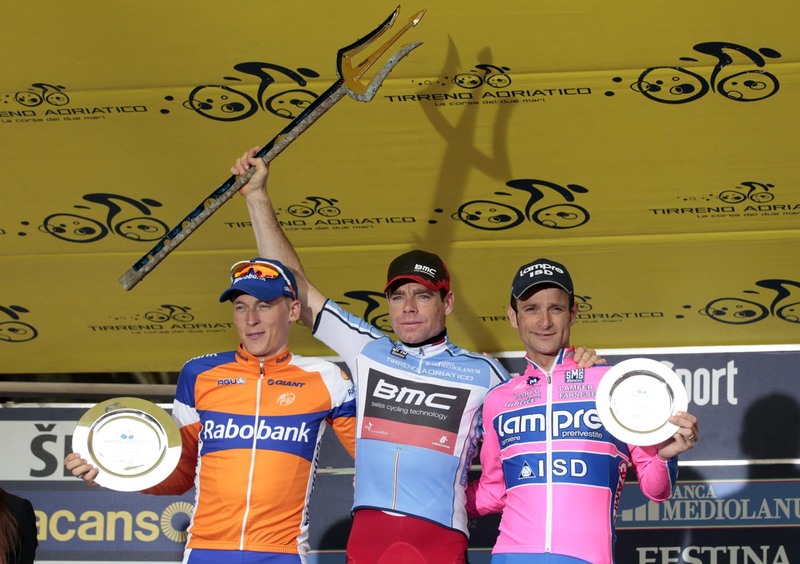 Look for Philippe Gilbert (BMC Racing) to win the stage. British Eurosport will be broadcasting live coverage and highlights from Tirreno-Adriatico. Times may be subject to change.